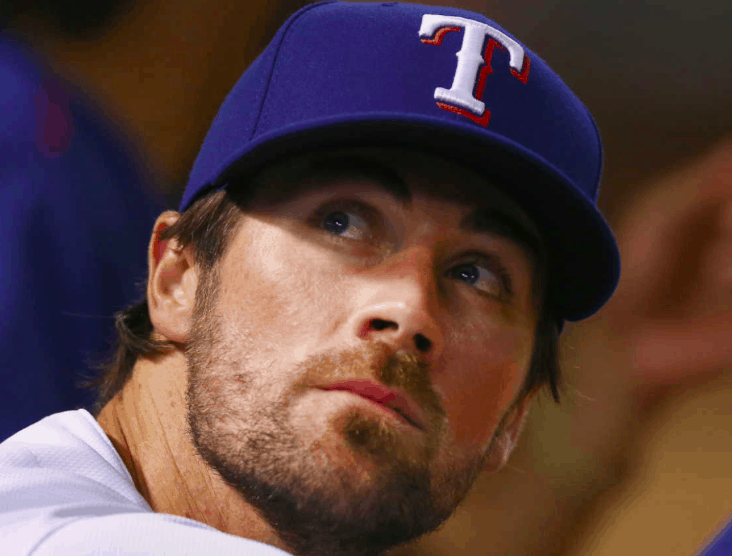 The Texas Rangers will be without ace Cole Hamels for a least the next eight weeks. The club announced Wednesday that Hamels has been diagnosed with a strained right oblique and has been placed on the 10-day DL. Hamels was scratched from his scheduled start on Tuesday and underwent an MRI on Wednesday that revealed the injury. The loss of Hamels is a massive setback for the Rangers, who are aiming for a third consecutive AL West title despite getting off to a slow start early in the 2017 season. It wasn’t until after Hamels began throwing warmup pitches prior to Tuesday’s game that he felt pain on his right side. The Rangers immediately scratched him and used relief pitchers to get them through the game, which they lost 8-7 to the Angels. Unfortunately, this appears to be a rather serious injury, which has been a rarity for Hamels throughout his career. This is the first time Hamels has been on the DL since being traded to the Rangers in the summer of 2015. Since he’ll be out of action for at least two months, this will be the first season since 2007 that Hamels fails to start at least 30 games in a season. Losing Hamels for at least eight weeks is a massive blow to the Rangers, who are tied for last place in the AL West at 11-16 and already seven games out of first place. Despite the team’s poor start to the season, the Texas rotation has the lowest ERA in the American League, and not surprisingly, Hamels has been a big part of that. In his first five starts of the season, Hamels is 2-0 with a 3.03 ERA, although his strikeout numbers are a bit down from what we’ve come to expect from him. Yu Darvish has an identical ERA, giving the Rangers the 1-2 punch at the top of the rotation they were hoping for heading into the season. Andrew Cashner and Martin Perez have also pitched well during the first month of the season, despite not having the wins to back their strong performance because of a lack of run support. If there’s a silver lining for the Rangers it may be that A.J. Griffin appears ready to come off the DL on Thursday and take over the empty spot in the rotation. Nick Martinez, who joined the rotation when Griffin when to the DL with an ankle injury, has looked good in his first two starts this year, so there’s some hope that the Rangers can continue to put together one of the better rotations in the American League. The Rangers are also hoping to get a boost later in the season from Joe Ross, who is coming back from thoracic outlet syndrome. However, Ross has been slowed by back spasms and may be another month away from joining the Rangers. Until then, the Texas rotation figures to be a bit thin and may not be able to withstand anther injury. Of course, with or without reliable depth, it’ll be hard for the Rangers to replace Hamels over an extended period of time. The lefty has been the team’s undisputed ace since coming to Texas, and even with Darvish and the rest of the rotation pitching well, they will feel his absence over the next eight weeks. If the Rangers want to win their third straight division crown, they need to get things turned around in a hurry, and without Hamels, the climb back to the top just got a lot steeper.